Due to an overwhelming demand, their inventory of free lemonade stands has been accounted for after thousands of kids pledged to "Take a Stand" for charity. But please don't let that stop you! Kids can still "take a stand" for a good cause and Sunkist is here to help with plenty of Tools, Tips and Recipes on how you can run your own lemonade stand. 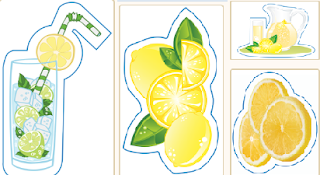 Make your own lemonade stand is quick and easy with Sunkist Do-It-Yourself Lemonade Stand resources. Simply follow their steps, and you'll have your own stand ready to go in no time. Sunkist has you covered with graphics and signage for your very own lemonade stand. Choose the black and white cutouts if you want to color your own, or choose the color graphics and be ready in no time. Click to order a Sunkist Canada Lemonade Stand and more!